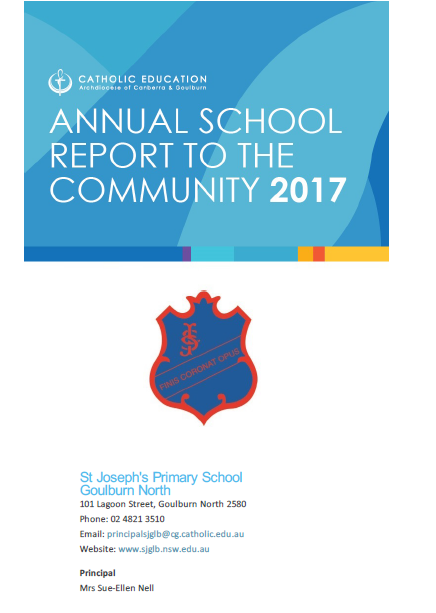 Students are given opportunities to participate in community service activities eg: shared activities with the visiting the Tenison Nursing Home, The Biggest Morning Tea, Operation Christmas Child, The Vinnies Winter and Christmas Appeals and the Mini Vinnies Sleep out. We have a Robotics Club for Year 5 and 6 students. The Student Representative Council has student representatives from each class in Year 3 to Year 6 and are responsible for organising a variety of school events including the annual 'Talent Quest' competition. Individual instrumental music tuition in a variety of instruments is offered to children from Kinder to Year 6. Tutors come to the school from the Goulburn Regional Conservatorium of Music. Keyboard skills are also offered through 'Kids on Keyboards' to all children from Year 2 to Year 6. Archdiocesan sporting opportunities are available in athletics, swimming, cross country, netball, rugby league, rugby union, soccer, touch football, hockey, tennis and basketball. Students are encouraged to participate in school choirs. Indoor Board Games operate during Terms 2 and 3. This is a Student Representative Council initiative. Students can join the school's Chess Club. Student participation in the Premiers Reading Challenge is actively encouraged. Students attend various theatrical, musical and dance performances throughout the year. Students are encouraged to participate in Regional Public Speaking competitions which are held annually. An Archdiocesan Public Speaking Competition will be introduced in 2014. A Peer Support Program encourages positive relationships within the school community and develops self esteem and group work skills through participation in small, friendly peer support groups. Restorative Practice is a program specially designed to enhance relationships within the school community and to enable the solution to conflict situations with the emphasis on the dignity and integrity of those involved. Our curriculum is enriched by visits from people in our local and wider community with special talents and expertise. Our school recognises the importance of perceptual motor integration and its significant influence on student learning. A Movement Program is conducted in Kindergarten each morning. Every alternate year an external provider is contracted to conduct a five week gymnastics or dance program with each class. Seasons For Growth is a program which offers support for those suffering grief or loss of any kind. It is available to students and parents. A school counsellor, Lauren Lucey visits each week, usually on a Monday between 9am and 2pm.